Meniscus tear is a common knee injury in athletes, especially those involved in contact sports. A sudden bend or twist in your knee causes the meniscus to tear. This is a traumatic meniscus tear. Elderly people are more prone to degenerative meniscal tears as the cartilage wears out and weakens with age. The two wedge-shape cartilage pieces present between the thighbone and the shinbone are called meniscus. They stabilize the knee joint and act as “shock absorbers”. Torn meniscus causes pain, swelling, stiffness, catching or locking sensation in your knee making it difficult to move your knee through its complete range of motion. Dr. Patel will examine your knee, evaluate your symptoms, and medical history before suggesting a treatment plan. The treatment depends on the type, size and location of tear as well your age and activity level. If the tear is small with damage in only the outer edge of the meniscus, nonsurgical treatment such as physical therapy, NSAIDs or cortisone injections may be sufficient. However, if the symptoms do not resolve with nonsurgical treatment, surgical treatment may be recommended. 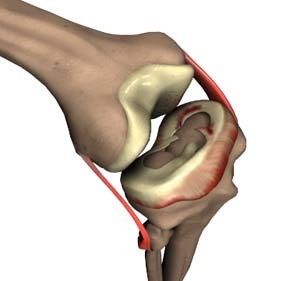 Knee arthroscopy is the recommended surgical procedure for meniscal tears. The surgical treatment options include meniscus removal (meniscectomy), meniscus repair, and meniscus replacement. Surgery can be performed using arthroscopy where a tiny camera will be inserted through a tiny incision which enables the surgeon to view inside of your knee on a large screen and through other tiny incisions, surgery will be performed. During meniscectomy, small instruments called shavers or scissors may be used to remove the torn meniscus. In arthroscopic meniscus repair the torn meniscus will be sutured depending on the extent of tear, the location of the tear, and the quality of the remaining tissue. Meniscus replacement or transplantation involves replacement of a torn cartilage with the cartilage obtained from a donor. It is considered as a treatment option to relieve knee pain and prevent arthritis in patients who have undergone meniscectomy.